Whether you want to cool off in the summer or warm up in the winter, it appears that green tea is full of antioxidants to help boost your immune system. 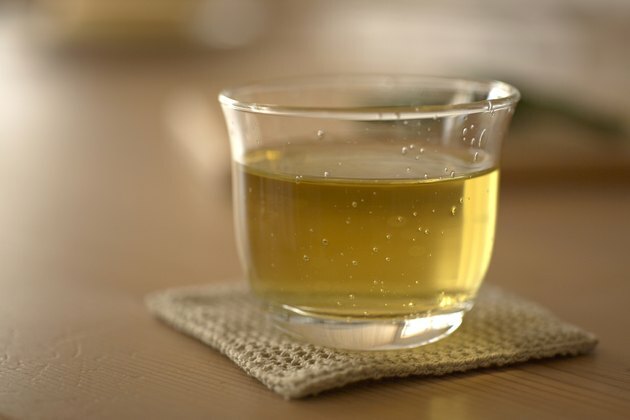 According to the Yale-New Haven Hospital, you can reap the benefits of green tea whether you like it iced or hot, but there a few things to keep in mind before you start drinking. The green tea in your tea bag and in that bottle of iced tea both actually come from leaves of Camellia sinensis, a white-flowered plant found mostly in Asia. These leaves are less processed than the black ones, the Yale-New Haven Hospital website explains, so they become richer sources of antioxidants. They may also boost your metabolism and possibly aid in weight loss. Caffeine is a stimulant commonly used as part of the daily routine of most adults. There's definitely a difference in the benefits of hot vs. cold green tea when it comes to caffeine. You're better off with the hot tea if you are looking for stimulation. The United States Department of Agriculture states that 6-oz. cup of brewed (hot) green tea at 26 mg of caffeine, while 16 oz. of iced green tea only has about 15. If you take advantage of the ability to brew your own hot green tea, you can make it more beneficial than bottled iced tea, which may not have been brewed long enough for you to receive all the health benefits. The Yale-New Haven Hospital recommends steeping the tea in hot water for at least three minutes to get all the beneficial antioxidants from the tea. Once you have done that, you can drink it warm or over ice. A "New York Times" article on summer drinks cautioned against consuming prepared green tea drinks, even though green tea has health benefits. It stated that some brands of iced green tea had as much as 53 g of sugar in a 20-oz. bottle. Also of note, according to the Yale-New Haven Hospital, adding milk to tea--which is done more often to hot tea than cold--may alter the ability of the antioxidants to work properly. Drinking green tea can interfere with some medications. According to the University of Maryland Medical Center, reactions have been linked between green tea and certain cold medications, antibiotics, beta-blockers, blood thinners and chemotherapy. It may also change the effects of mood-altering medications like benzodiazepine, tranylcypromine and clozapine. Consult your doctor or pharmacist about the prescriptions drugs you are taking and whether or not it is safe to drink green tea with them. What Are the Benefits of Drinking Tea Hot Vs. Cold? What Are the Benefits of Peach Black Tea?